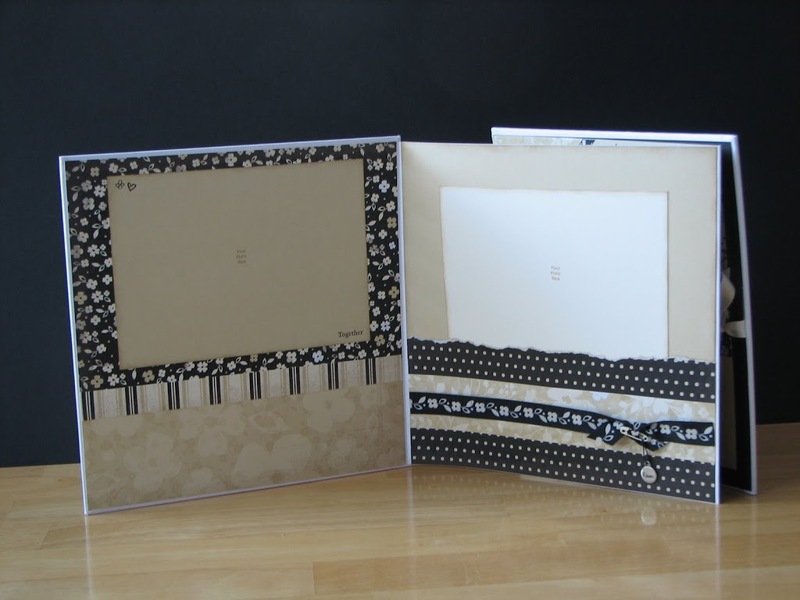 Here are some photos of an accordian album I made to go into the care package my women’s Bible Study group made for the missionary family we support. I used CTMH’s rub-ons, Big Pinks, Key to My Heart stamp set, and Silhouette Level 2 paper pack and Creative Basics paper, along with some ribbon. Here is one that I will be making at a gathering on Thursday. Yes, those are googly eyes! 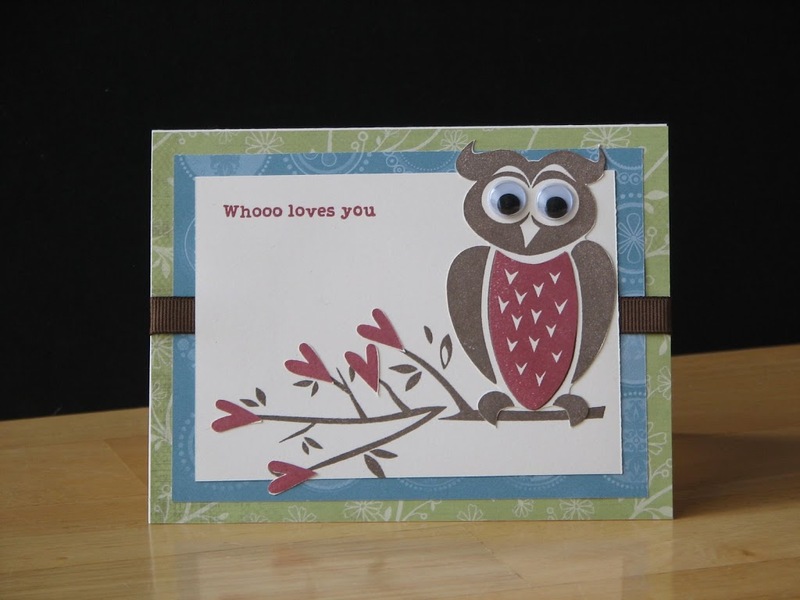 This card was made with CTMH’s Whoo Loves You stamp set. 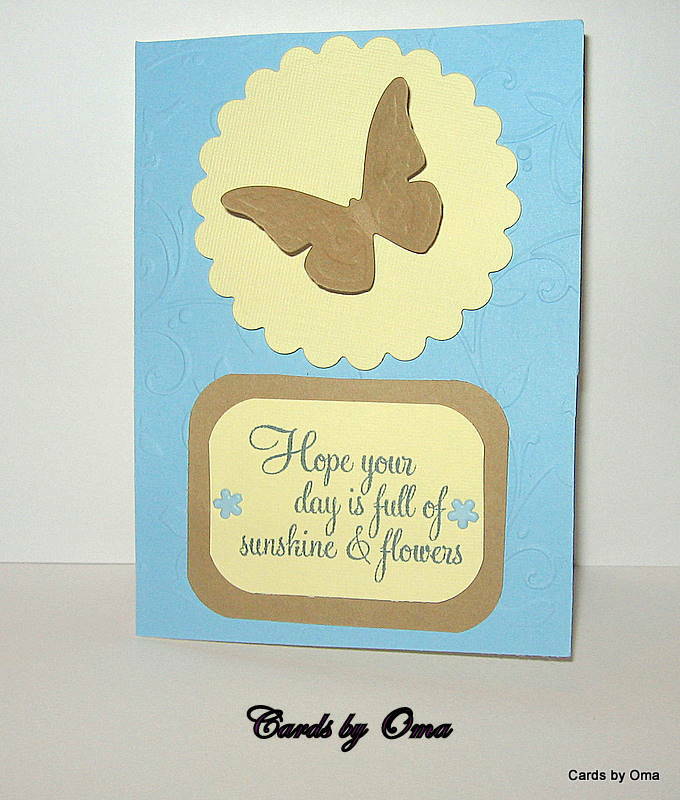 I love it and am so excited to finally make a card with it. The little hearts are from Priceless Love, a new set. The owl is paper pieced with Cocoa and Vineyard Berry ink. The paper is from our new Emporium Level 2 pack. Oh and a bit of Cocoa ribbon. These are the valentines my 3-yr-old daughter, Arianna, and I made for her pre-school class. She picked the stamps, from our Life is a Jungle stamp set. She was also adamant that her cards have blue on them. She said it a number of times, that she had to have that blue paper! So she has met my challenge without even knowing it. The paper is from the Caprice Level 2 pack. The hearts are from Thoughtful Seasons and are stamped in Cranberry. Arianna coloured in the lions and hippos. I think she did a fabulous job choosing the products for her first set of valentines. My first challenge has a winner! My aunt, Anna Luke, made this beautiful card. She has won an Edge Distresser! This great little tool makes it easy and safe to add that rough look to the edges of any paper. 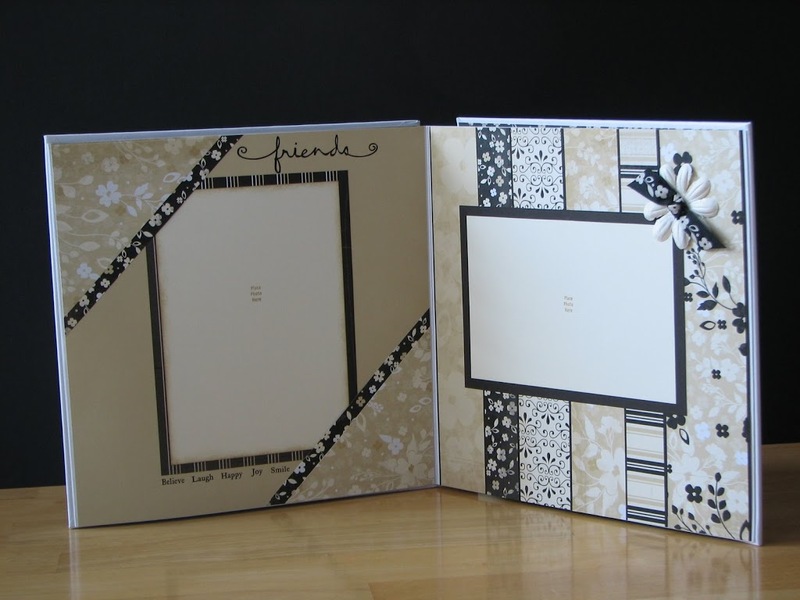 Use it with CTMH’s cardstock to reveal the white core. The next challenge is an easy one. Since Valentine’s Day is right around the corner, your challenge is to make a valentine’s card. The catch is that you need to include at least one non-traditional colour, so make sure you have a colour, other than red, white, or pink, on your card. I’ll post a photo later today to get you started. Like last time, just take a photo of your card and email it to me. Who knows, you might just win something! Hey there, everyone. Just so you don’t get your hopes up, I won’t be posting every other day or something like that. I will definitely post a challenge every two weeks and then any time the inspiration hits or I have artwork I want to share. This is one of those times. This layout, Camping Chaos, is one that I am extremely proud of. If you know me or have had a gathering with me, you know that I tell everyone 99.9% of what I create is lifted or taken from somewhere, another consultant or crafter, or from one of our fabulous How-To Programs. This one, though, is all me! It all came from my head. I hope you like it. 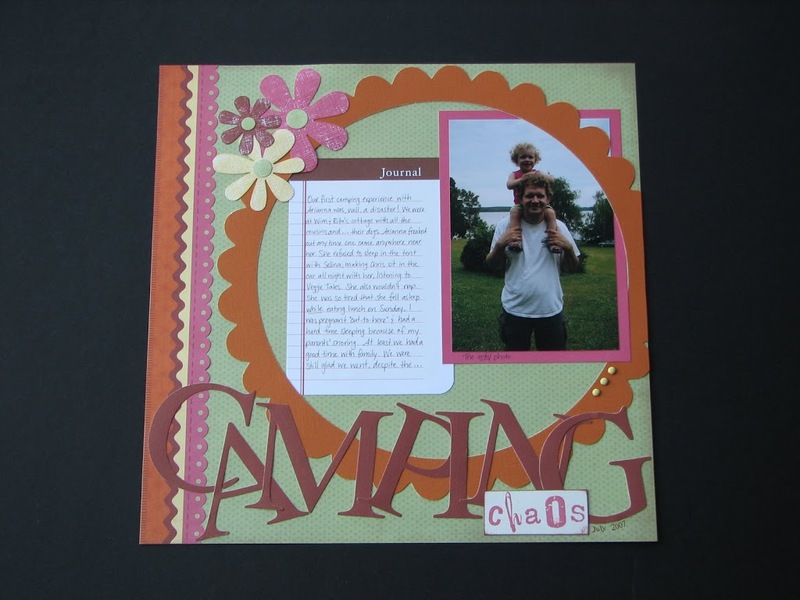 I used the Boom-Di-Ada Level 2 paper pack, one of the Journaling Spots, Buttercup brads, and Delightful Alphabet stamps. The circle frame, flowers, and large letters are from the Dazzling Die Cuts, a promotion we had in November. I inked up the White Daisy flowers by rubbing them directly on the ink pads. Colours: Hollyhock, Barn Red, Autumn Terracotta, and Sweet Leaf and Buttercup. The next two photos are cards I made for my women’s Bible Study group to write to the missionary family we support. Here I used Let’s Get Together Level 2. Stamp sets: Best Wishes, Thoughtful Seasons, Simple Stitches. The layered flowers on the left one are Dimensional Elements. The flower on the right is a Big Pink. Colours: Cranberry, Buttercup, Garden Green, and Breeze. 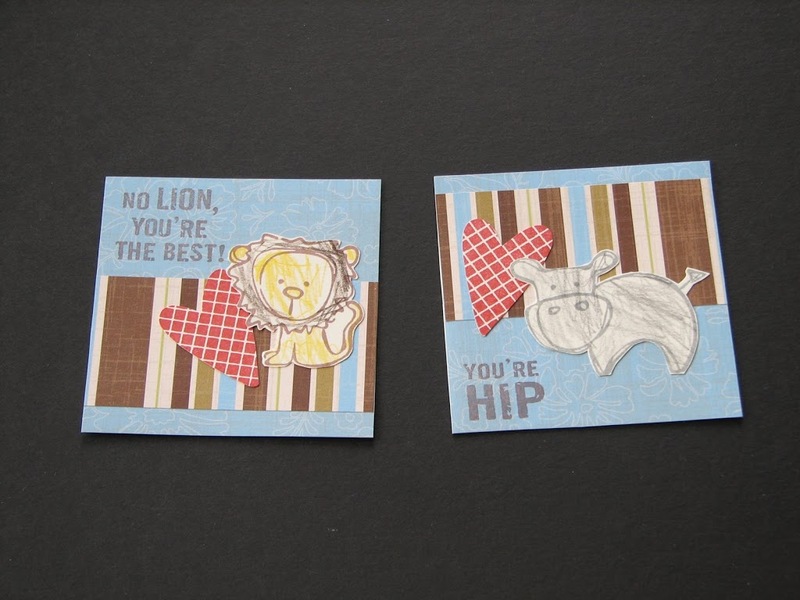 For these two cards, I used the Serendipity paper pack, a promotion from a long while ago. It included the die cut flowers and textured cardstock you see on the right card and the stamp for the flower on the left. 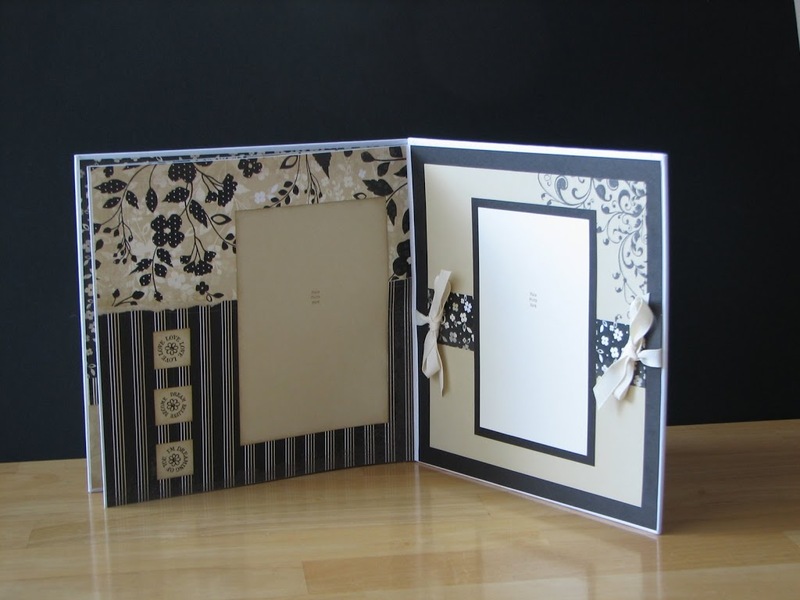 I also used Thoughtful Seasons and For Every Occasion stamp sets and Chocolate Mini-Medley and eyelets. Colours: Outdoor Denim, Dutch Blue, Chocolate, and Bamboo. Now go create some of your own! Better yet, participate in the challenge.